There’s no doubt about it: our sedentary lives are contributing to some of our most serious health issues, putting us at risk for everything from obesity to certain types of cancer. While, unfortunately, many of us have no choice but to be stuck behind our desks for eight-plus hours a day, five days a week, there are still plenty of ways we can get healthier, even with the constraints of our busy schedules. Although, short of getting a more active job, there’s probably little you can do about having to stay in one place for the bulk of the day, getting healthy, even if you’re stuck at a desk, isn’t as hard as it seems. 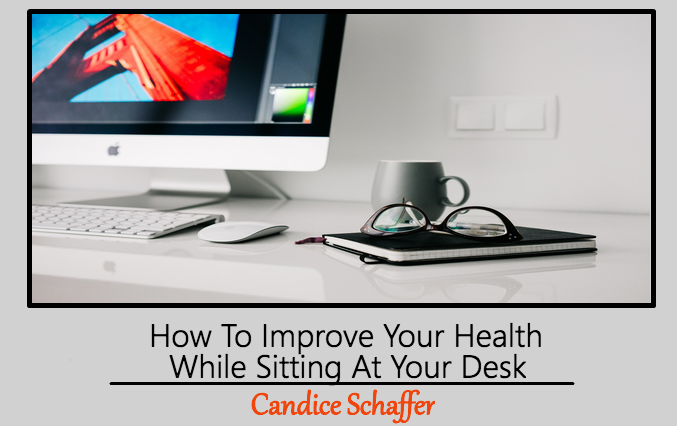 Check out these wonderful tips to improve your health while sitting at your desk and you’ll be feeling like a million bucks in no time. While sitting in a desk chair from 9 to 5 does little for your cardiovascular health, there’s an easy way to remedy that: by swapping out your chair for an exercise ball instead. Using an exercise ball can help keep you moving throughout the day—without the effort of using a treadmill desk— while improving your posture and core strength with every bounce. Better yet, research suggests that sitting on an exercise ball instead of using a traditional chair may actually improve concentration, making it easier to get your work done in a timely manner while nixing those distractions that might otherwise derail you. Want to be healthier throughout the workday, but don’t have time to hit the gym every day at lunch? All it takes is adding a little movement to your usual routine. Getting up from your desk on a regular basis throughout the day—every 30 minutes, if possible—is a great way to improve your circulation, reduce your risk of blood clots, improve your cardiovascular health, and break up the monotony of your 9 to 5. Getting up periodically to stretch or walk around your office can even help you burn a few extra calories every day, as well as making the workday pass more quickly by giving you a little break to look forward to twice an hour. How can you Beautify Your Office with Commercial Staircases? 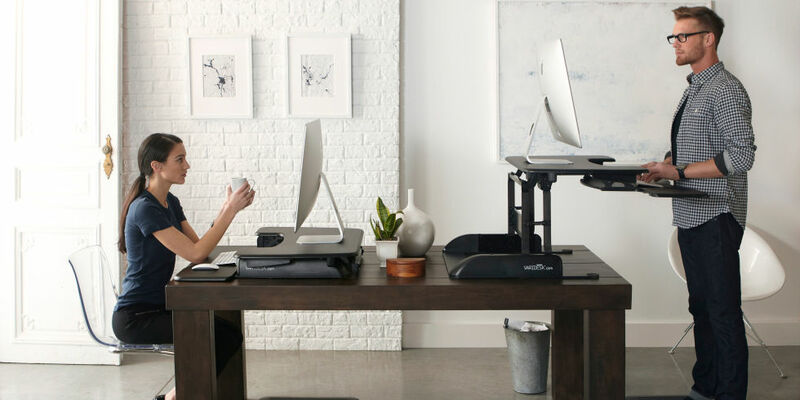 Want to get more active at work, but don’t think you’ll be able to get your work done using a treadmill desk? Try an under-desk elliptical instead. These little machines, which fit comfortably under most desks, will help keep your legs moving throughout the day, keeping your heart healthy and your body fit by adding a bit of an extra calorie burn into your otherwise sedentary day. There may be little you can do about the overall stress of your job, but one concrete thing you can accomplish that will make you healthier at work is the act of de-stressing. Stress leads to spikes in the hormone cortisol, which influences the production of belly fat. Unfortunately, those extra inches on our waistlines can contribute to an increased risk of cardiovascular disease, increasing our risk of strokes and heart attacks, as well. The good news? Anything you do that reduces your stress level, whether that’s doing some deep breathing exercises at your desk or giving yourself a few minutes to enjoy a cup of tea, can help lower your cortisol levels and make you healthier in no time. While sitting behind your desk may be a more or less non-negotiable part of your work life, there’s an easy way to make yourself healthier without virtually any effort: by drinking water throughout the day. Most Americans are falling short of the eight glasses of water we’re recommended to get every day, with the majority of people drinking only about half as much as they’re supposed to despite the presence of office water dispensers in most offices. The good news? By keeping a water bottle at your desk, you can finally get the amount of water your body wants and needs, improving your health in the process. Drinking adequate water can help keep you from mistaking thirst cues for hunger, thus reducing your total caloric intake, and drinking adequate water will help curb the brain fog-inducing effects of dehydration. Just make sure you’re using a BPA-free bottle—some research suggests that BPA can leach into our food and water, having an obesogenic effect on our bodies in the process. And of course, in addition to feeling healthier when you’re hydrated, your choice to use a reusable bottle can help reduce the 50 million plastic bottles used by Americans each year, many of which end up in landfills. Just because you’re having another one of those busy days when you can’t seem to find time for a trip to the gym doesn’t mean you can’t work to make yourself healthier. Even if you’re spending the whole day at your desk before you go home, a few small changes to your routine can have a big impact on your health, fitness level, and overall well-being. Before you sit down at your desk, make sure you’re armed with the knowledge you need to get healthier, one busy workday at a time. 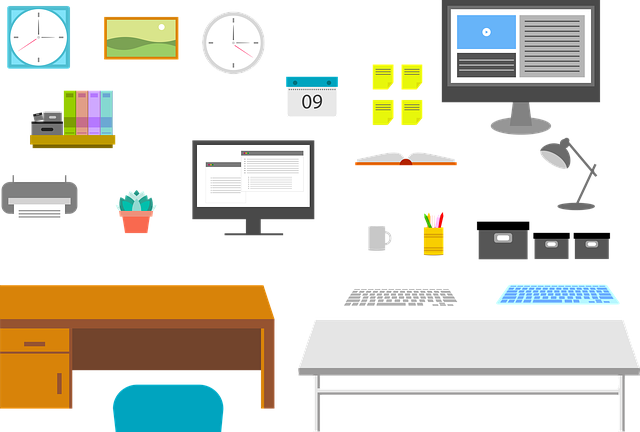 This Concludes: How To Improve Your Health While Sitting At Your Desk. What Did You Think Of This Post? Please Let Us Know By Rating Below!